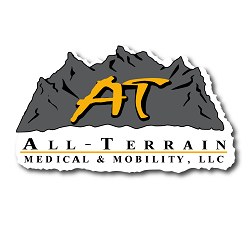 Cargo Carriers, Scooter Lifts, Wheelchair Lifts and more are available at All-Terrain Medical, whether you need an electric wheelchair lift for your home or your office, a wheelchair stair lift, or vertical wheelchair lift for a wheelchair or a mobility scooter - We have what you are looking for! Power up, and get yourself a wheelchair lift with platform for your handicap accessible needs, and make your home as comfortable and livable as can be. With a vertical, hydraulic, stair or porch lift, you can have maximum mobility. Our companies of choice are Harmar and Versahaul. If you don't find what you are looking for, please let us know and we will find it. Please call us at 877-255 8371. We are here to help!